The East Coast of Australia is a must-do for every backpacker in the country. It is the most popular route for travellers and easily has the most things to see in Australia. There is a very beaten backpacker trail as you as either go north or south so you’ll most likely run into people along your trip. The East Coast is a very long route as you will be travelling most of the country. The first mistake people make is thinking it can be done quickly. Australia is about the size of the USA so driving the entire strech of the East Coast will take days. So even through there are so many things to do in Australia along this trip they will still take time to get to so be prepared to buckle up and plan to spend some time in Australia to really see it all. The best part of an East Coast trip is that most places to visit in Australia are natural. 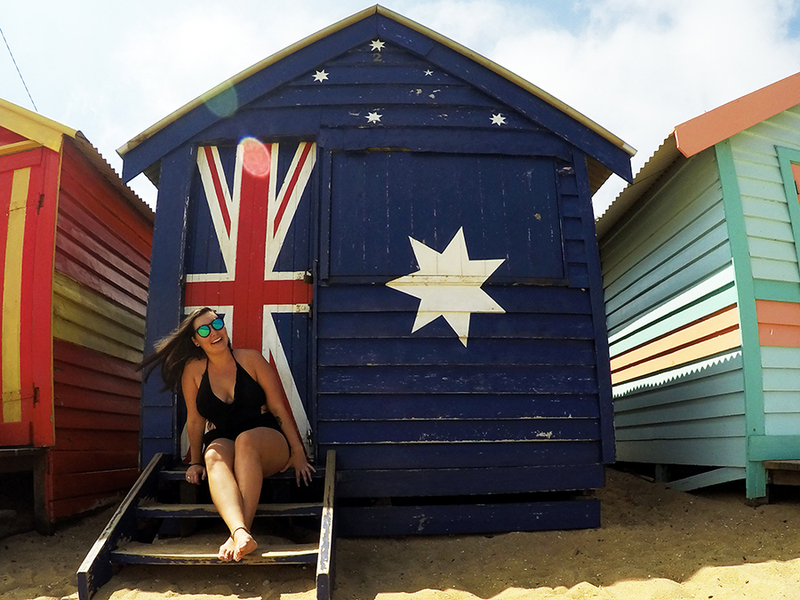 From stunning beaches to gorgeous islands and even the oldest rainforest in the world, you’ll find them all and what to do in Australia in this sample itinerary. 2 How Long Does it Take to Travel East Coast Australia? If you plan on spending a lot of time on the beach or in the water the best time to visit Australia’s East Coast is during the summer (December-February) however it will be wildly hot and rainy season in tropical Northern Queensland. This is also peak tourist season. My recommendation is to travel in the off seasons, spring (September-November) or fall (March-May) when prices are lower, there are less crowds and the weather is decent on all parts of the coast. That being said, there really is no bad time to travel Australia’s East Coast as it will be warm throughout the year in Queensland but prepare for the cool weather in New South Wales and Victoria! By cool I mean it can snow in Melbourne in the winter (December-February). How Long Does it Take to Travel East Coast Australia? If you don’t have a lot of time it can be done it two weeks. This just covers the highlights. If you want the full East Coast experience plan to spend 4-6 weeks. With this timeframe you will be able to see and do everything plus have time to relax. A budget in Australia is like splurging in places like Southeast Asia, but a budget trip can be done if you’re smart, know what to budget for and plan. The easiest way to save money is on food and drinks. It can be difficult because drinking is a huge part of travel down the East Coast but save your money for some of the more expensive experiences instead. Eating about can cost you anywhere from $5 at fast food restaurants to $15 at sit down restaurants with a lunch special to $20+ for dinner. When buying your food from grocery stores and cooking you can spend as little as $6 a day! I’m proof, I did this while living in Melbourne. For drinks pre drink before going out by picking up booze at bottleshops such as Dan Murphy’s where you can stock up on Goon, boxed wine for around $15. But expect a hangover and I can’t claim that it tastes delicious. When going out use an app like Happiest Hour to help you find the closest drink deals around. The most budget friendly option is to road trip Australia and it is also a very popular option. Some people even buy a car at the start and then sell it at the end. Finding used cars is very easy and common in Australia. But as a solo traveller (like me) you may not want to drive alone, you may not want to drive or camping isn’t your thing. Travel in Australia is the easiest with the next best option, getting a bus pass. The most popular companies are Greyhound and Premier that travel not just along the East Coast but across the entire country. There are passes available based on kilometres travelled and hop on hop off passes. The main difference is that with a kilometres pass you can back track, with a hop on hop off pass you can’t. I personally recommend the hop on hop off as it works out cheaper and gives you 90 days of use between point A to B. A Sydney to Cairns pass will start at $410 with Greyhound but that is all of your travel covered! You can also book buses pretty last minute as well so you can be flexible with your travel and change bookings for each stretch of your journey. If you are short on time flying is the best option for you as it will be the quickest. Australia is huge and you don’t want to waste precious time spending days (yes driving can take that long!) getting between destinations. Luckily Australia has budget airlines and if you book in advance you can score awesome prices. You can also watch out for sales by signing up for budget airlines newsletters such as Tigerair and Jetstar. FIND CHEAP FLIGHTS NOW! Or download the app to search later. Camping on the Australia East Coast is the cheapest option. Some campsites will be free, others can be pricey. You can use books like Camps Australia Wide to find free campsites along the coast. If you have a campervan you can also pay to park in some hostels parking lots and use the bathroom and kitchen facilities. Personally I stayed in hostels because camping is not my thing and they’re a great place to meet people as a solo traveller. Hostels cost anywhere from $20-50 a night in a dorm room. Prices vary depending on where you are. Sydney is the most expensive so expect to pay $50 a night when there. Breakfast is often included and is typically cereal, toast and condiments, coffee and tea. Sometimes you’ll get pancakes! Be sure to check out Hostel World for an excellent selection of hostels with reviews from previous travellers. How this itinerary works: In order to accommodate itineraries varing from 2-6 weeks I list the minimum amount of days to the maxium amount of days to spend in each spot to give you a rough idea of how much there is to do in each stop along the coast. I list typical activites to do in each stop, day trips and then link to further resources to help you create the perfect itinerary for each destination. 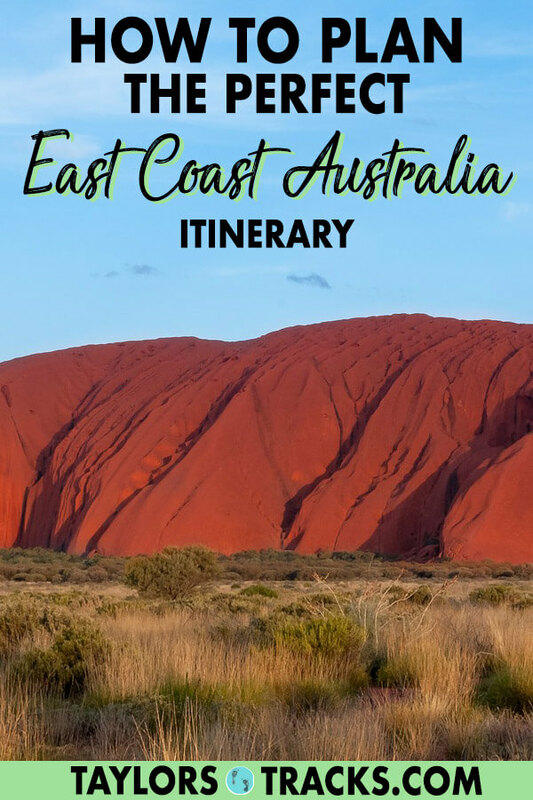 This East Coast Australia guide is made specifically for backpacking Australia but it can also be used for anyone travelling the East Coast as it covers what to see in Australia and the best places to visit in Australia. Psssst: Love to travel but hate the planning part? This entire tour with all of my recommendations is available as a tour! Check it out. There are so many things to do in Melbourne that you could easily spend a week here. Spend a day roaming around the CBD (central business district), exploring the hidden bars and street art in the alleyways. Grab a bite to eat at one of the fabulous restaurants along the Yarra River and find a rooftop bar to hangout for the evening. Hit up St Kilda beach for an afternoon, wander through the Botanical Gardens and don’t miss out on trying a freakshake! Melbourne is a foodies paradise so the chances are that there will be some kind of food festival going on while you’re visiting. Most of the museums are also free and you can find out tourist info in Fed Square. Find transport routes from Melbourne. A stop in Sydney is a no-brainer. 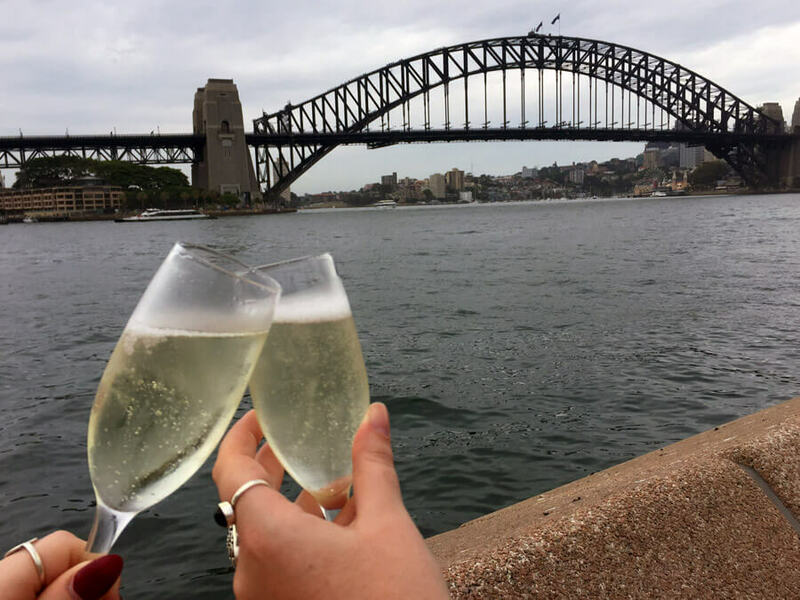 You simply must day a take to wander through the CBD, making your way over to the Sydney Opera House where you can stop for a drink and take in views of the Sydney Harbour Bridge. From there walk through the Royal Botanic Gardens for even better views. Roam around The Rocks and find yourself at Darling Harbour for the evening for dinner and drinks. A second day should be spent at one of the many beaches such as Bondi Beach, the most famous. Don’t skip the Bondi to Coogee coastal walk for breathtaking views of the water and beaches. And if you’re feeling adventurous try climbing the Harbour Bridge for an epic photo opp. A third day can be spent on another beach, Manly Beach, cruising around the water or visiting the zoo. Find transport routes from Sydney. With so many places to go in Australia the smaller spots are often overlooked or unherd of. 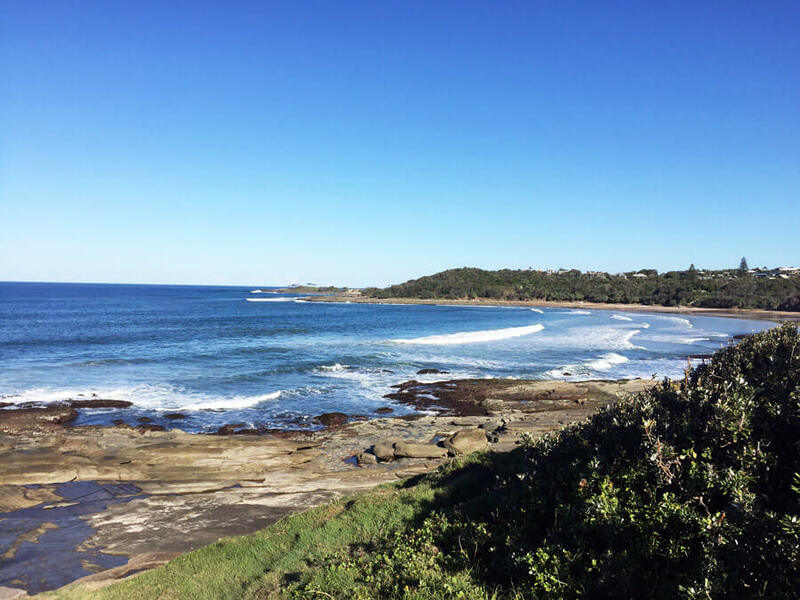 Yamba is a small town that is off the beaten track but it is quickly becoming popular. It’s the perfect place to chill out for a few days on one of the 12 beaches with its laid back vibe. And if you’re Canadian you’ll find the most folks from home in Australia in this spot! 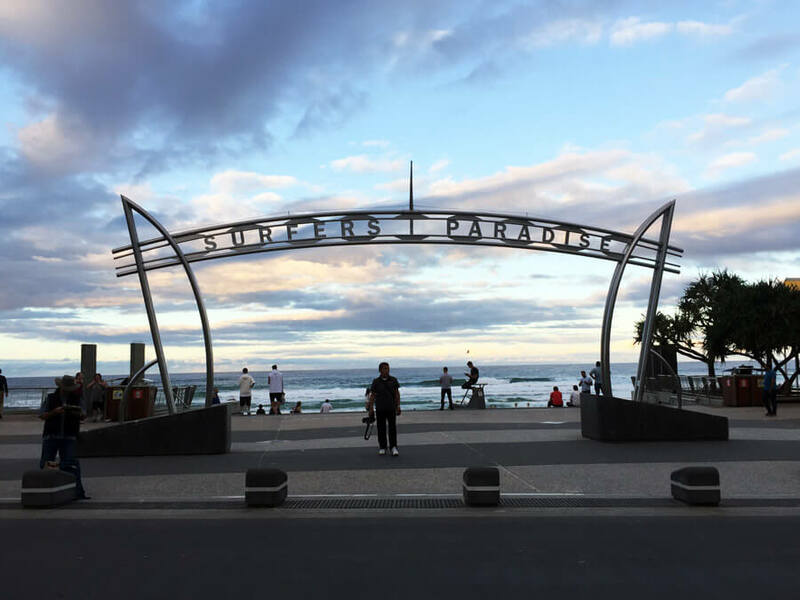 Surfers must stop here as it is home to the best surfing in Australia, is where a number of pro surfers live and the creator of Billabong. Surf lessons here are extremely cheap, I’m talking under $20 so if you want to give it a go you won’t find any cheaper. There’s only one hostel where you can sign up for surf lessons and you must do Shane’s Yamba tour, for $15 it’s probably the cheapest tour in Australia. Find transport routes from Yamba. So many people fall in love with Byron Bay and end up staying here longer than planned. I don’t blame them and you’ll see why too. This is another top spot for surfers but has more action for those who don’t like spending so much time in the water. 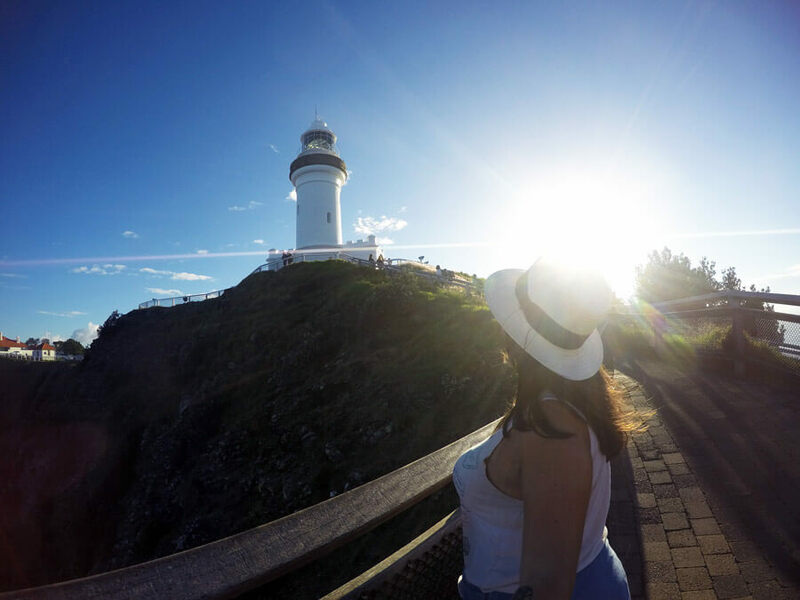 Here you can still get outdoors by hiking up to the Cape Byron lighthouse and visiting the most easternly point in Australia close by. Or spend your days chilling out on one of the many beaches such as Main Beach, Clarks Beach, The Pass and more. Byron Bay is also known for its dolphins which you have a very high chance of spotting. So jump in a kayak and have a leader take you to the best lookout spots. Byron Bay is a popular hangout for backpackers, it is also quite touristy but still has a very laid back vibe. So shop your heart out at the chain and local stores or at some of the top markets such as the Byron Bay Artisan Market (Saturday nights, October-March) and Byron Bay Markets (first Sunday of every month). And spend your evenings partying at the local bars. Find transport routes from Byron Bay. If you love to party you’ll love Gold Coast. Gold Coast is not actually an area like the Sunshine Coast is but a city in itself. It is the most touristy city in Australia. Despite its most popular area’s name, Surfers Paradie, the surfing is only okay. The beach itself is fine but my best advice is to only spend a few days as there are much better beaches along the coast. You can spend a lot of time shopping and partying here. All the main tourist attractions are here and day trips can be taken to amusement parks such as Sea World, Dreamworld and many more. Plus there’s spectaular natural scenery on the city’s doorstep like these waterfalls. Find transport routes from the Gold Coast. In all honesty I found Brisbane to be the most boring city in Australia. However a stop here will break up your trip between Gold Coast and Noosa and it will be the last city you see until the end of the this trip! Spend a day roaming around the CBD where there are lots of shops and make your way over to Southbank. It’s here that you’ll find the famous Brisbane sign along the river. Walk a little further and there are a ton of restaurants, a pool and a manmade beach in the middle of the city. A trip to the city’s West End will show you the quirkier side of Brisbane with some of the city’s best restaurants and bars. The city’s best collection of art can be found at GOMA. And don’t miss the chance to hop on the free ferry for a ride down the river where you can jump off to explore more of the city. As for nightlife the trendy hot spot is Fortitude Valley. Find transport routes from Brisbane. I’m a little obsessed with Noosa. It is hands down my favourite place in Australia, but I won’t hype it up too much. People always prefer one or the other: Noosa or Byron Bay. 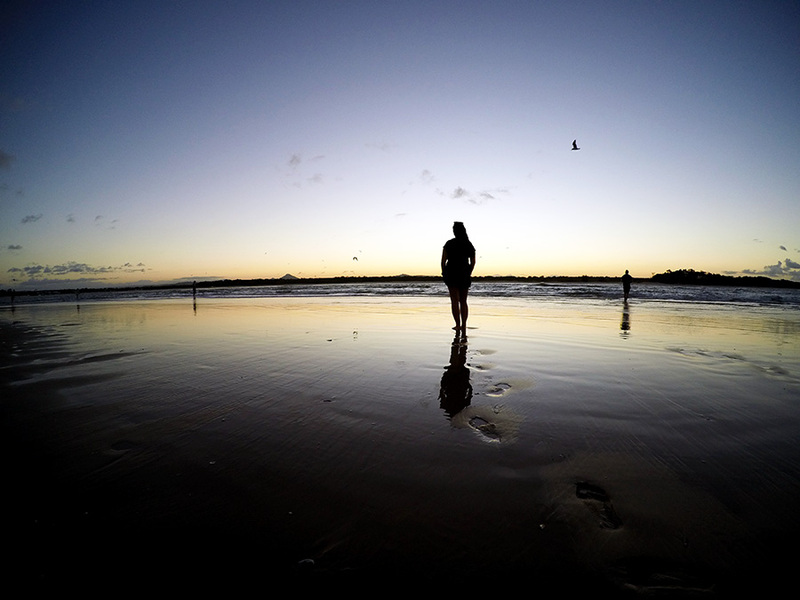 Noosa has an even more chill vibe, there is less partying and more beach time with sunsets. Spend some time on the Main Beach, watch sunset from that beach or walk along it to where the river meets the ocean for even better views. Surfing here is also quite good. But the best part about Noosa is the national park that has an amazing coastal walk. Get up early and watch the sunrise from Hell’s Gate or walk it during the day, seriously it could be a daily activity. Stop by the fairy pools for a dip in the natural pools in the rocks during low tide. Stop and just take in the stunning views and watch the surfers along the way. Shop along the main street, Hastings Street, but bring your credit card. Window browsing is all you’ll be able to do if you’re on a budget. Though you can find cheaper places for coffee and gelato here too. Lastly take a 30 minute bus ride to the Emundi Markers which are every Wednesday and Saturday until about 1PM. There is everything here from local crafts, food, jewelery, photography and so much more. Find transport routes from Noosa. Fraser Island is the largest sand island in the world. 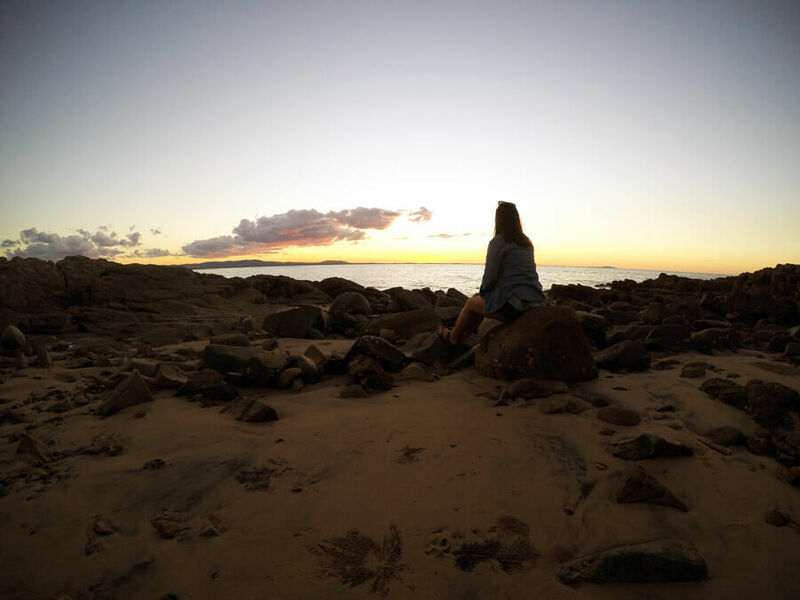 It is a must-do trip so you can drive along the beach, star gaze, learn about the history and culture of the island and see local wildlife such as dingoes. 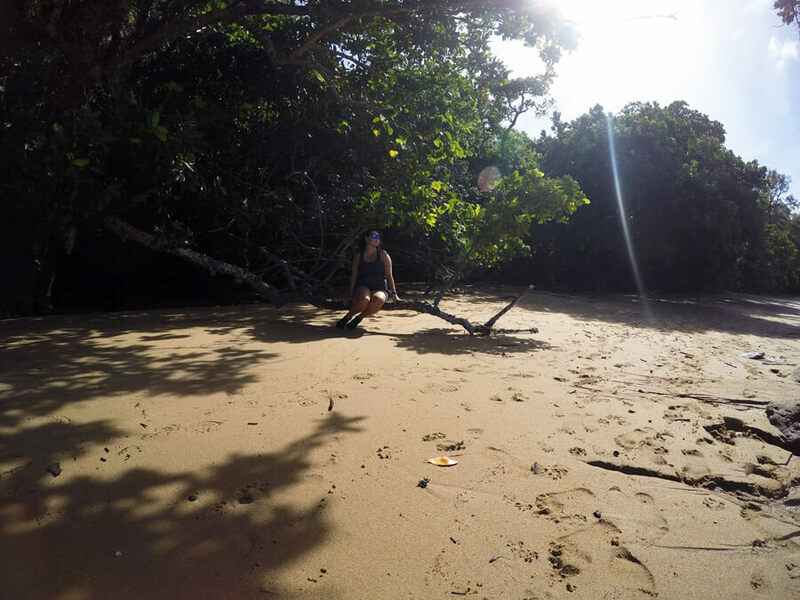 You can do a trip to Fraser Island from one of 3 jumping off points: Noosa, Rainbow Beach or Hervey Bay. 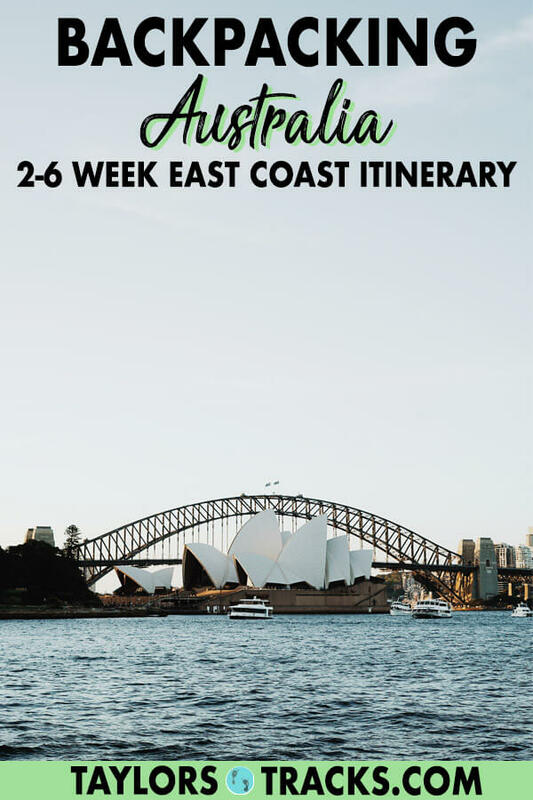 There are also options to start in Noosa and then finish in Rainbow Beach which is more north so you can continue your East Coast trip up. 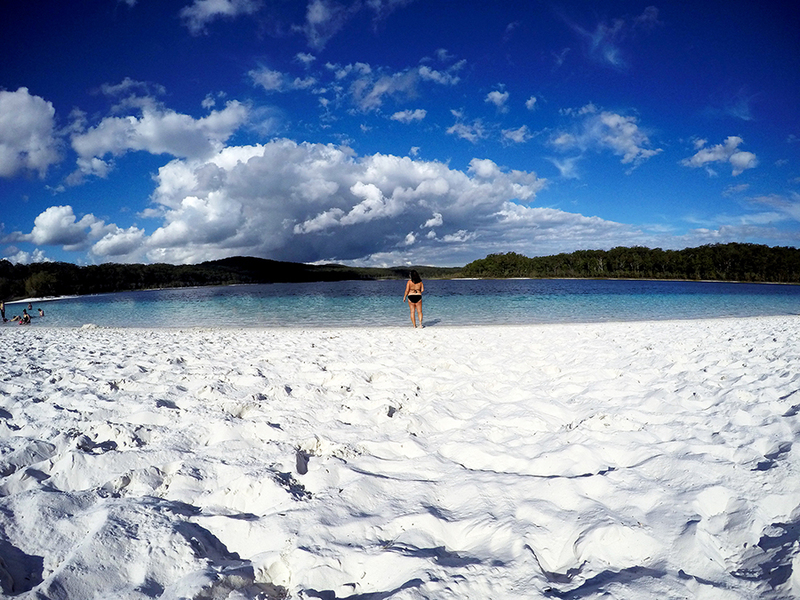 I will warn you that a Fraser Island tour is not cheap but it is well worth the splurge to see this incredible place. A 2-3 day tour is recommended, you simply can’t see it all in one day! A stop here breaks up the long trip between Noosa or Rainbow Beach and Airlie Beach as bus journeys are about 9 hours between Noosa and Agnes Water and Agnes Water and Airlie Beach (be sure to get night buses!). Agnes Water is really just a small tourist town so you don’t need long here. Stop by for some surfing (lessons here are also very cheap) or hire a bike to get to some areas for hiking such as the scenic trail to the Captain Cook monument. You could also do a Larc tour, a boat that drives on land as well as in the water. What you absolutely can not miss is the Scooteroo tour. They’ll be given a leather jacket and will drive around Agnes Water and 1770 in a group to see the area and then watch sunset. Even if you don’t do Scooteroo a sunset is in order as the Town of 1770 is one of the best spots along the East Coast to watch. Find transport routes from Agnes Waters. In Airlie Beach itself there is not a whole lot to do. 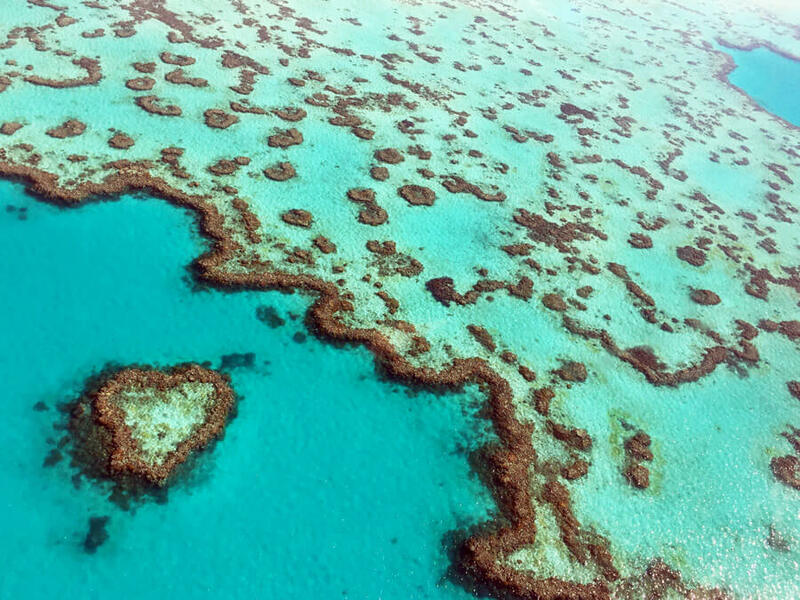 It mainly acts as a jumping off point for the Whitsunday Islands. 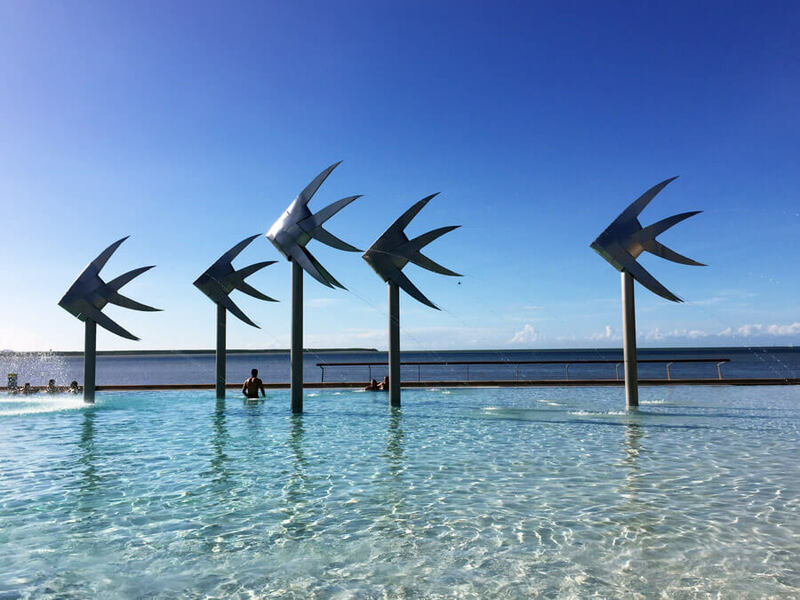 However you will most likely have some time to kill before of after your tour so you can chill out at the Airlie Beach lagoon, visit the beaches such as Boathaven Beach or do the coastal walk to Cannonvale Beach. This is most certainly not a budget option but I highly recommend it. I swear a scenic flight over the Whitsunday Islands and the outer Great Barrier Reef was the best splurge I had on my trip along the coast. I paid $179 but I’ve heard you can find them for as cheap as $99! 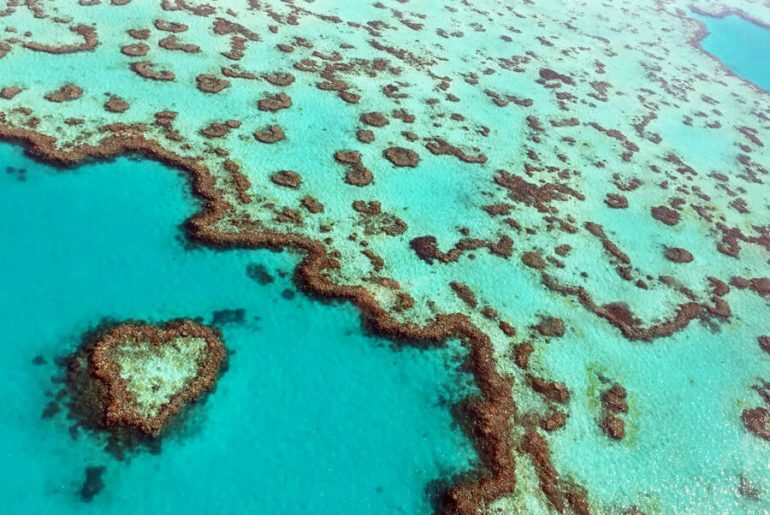 This is where you can see the famous Heart Reef. And while you’re here don’t miss a sailing trip around the Whitsunday Islands. This is what everyone comes here to do! 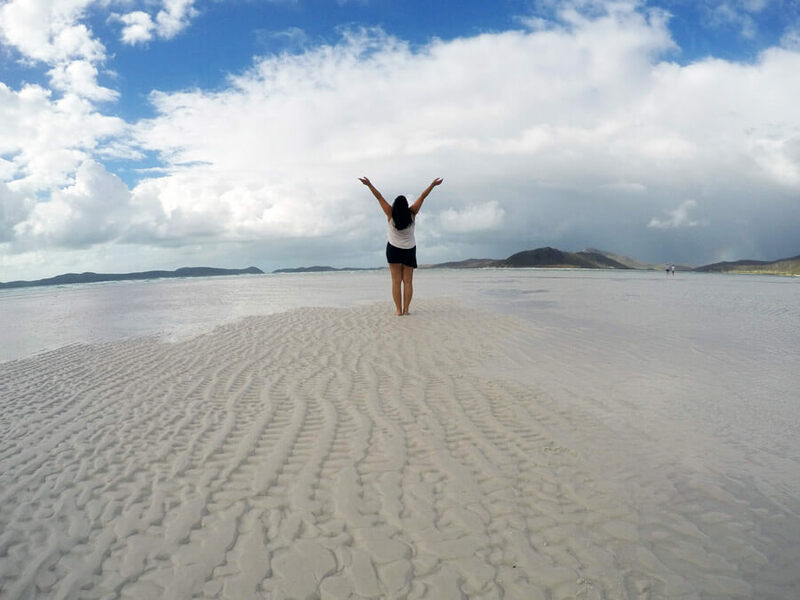 Spend 2-3 days on a sailboat where you can visit one of the world’s most beautiful beaches, Whitehaven Beach, snorkel the Great Barrier Reef and soak up the sun on the deck. Prices range significantly on tours and some boats are known to be party boats. I recommend using BookMe where you can find tours with big discounts or RTW Backpackers because they have such an awesome selection at really good prices. Find transport routes from Airlie Beach. Townsville is another stop to help break up long trips and is also the jumping off point for Magentic Island. There’s no need to spend long here, you can explore the entire coastal city in just 2 days. 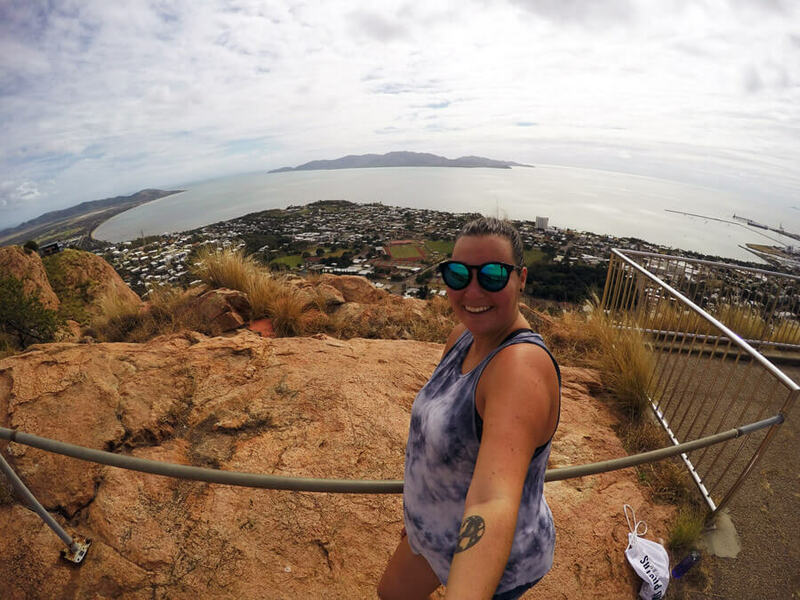 One of the most popular things to do in Townsville is a hike to the top of Castle Hill for views of the city and Magentic Island. Spend some time along The Strand where you’ll find beaches, restaurants and parks. The Reef HQ is awesome for those who don’t like diving or snorkelling as you can see a ton of underwater life as it’s the largest living coral reef aquarium. Then there’s the Billabong Sanctuary where you can experience Australian wildlife and interact with the animals. Find transport routes from Townsville. Magentic Island is a quick half an hour ferry ride from Townsvile and one of my favourite places in Australia. The locals often refer to it as Maggie, since Australian’s shorten everything. What’s so special about this island is its unique formation of rocks that jut out to create a different landscape. Acitivites on the island include lots of hiking. 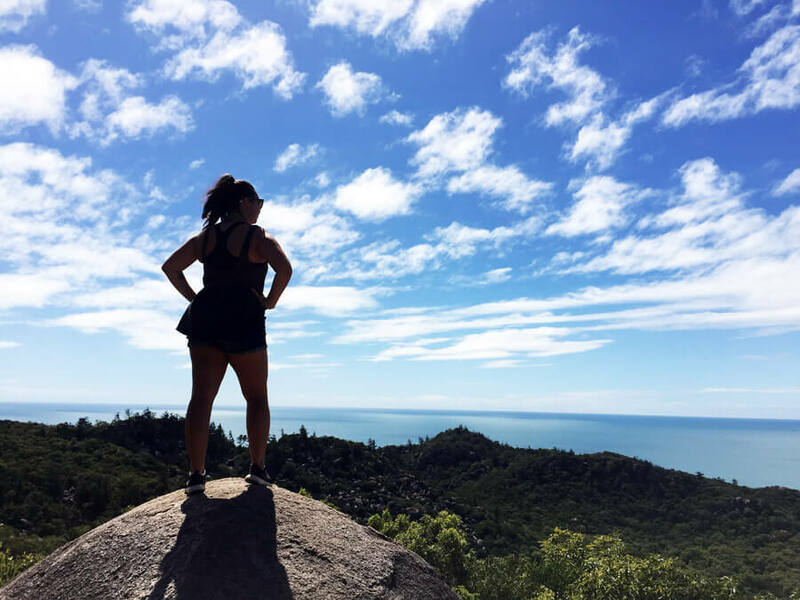 Some of the best trails are The Forts Walk where you can spot wild koalas and the hike to Radical Bay from Horseshoe Bay. Be sure to time getting back to Horseshoe Bay for sunset as it’s stunning with islands in the background. 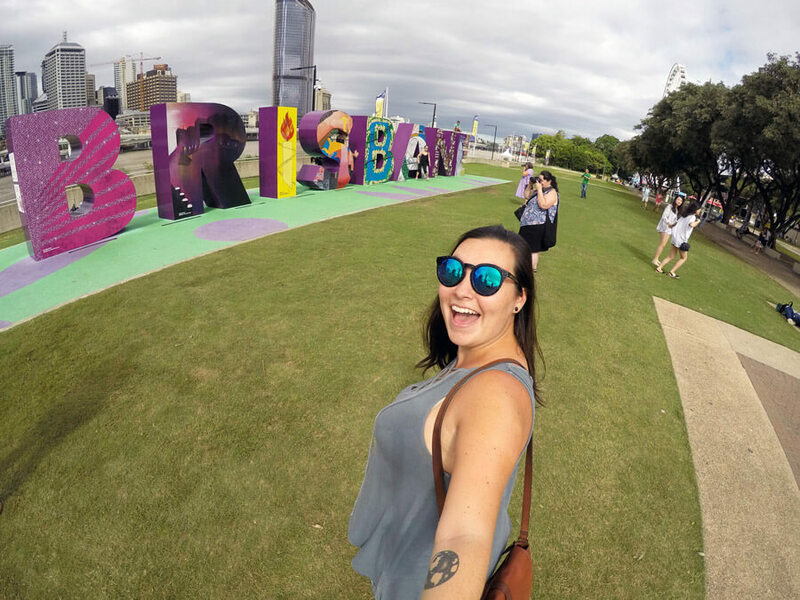 If you haven’t aready you can get your picture with a koala or have breakfast with koalas at Bungalow Bay which is also the hostel I recommend staying at. By far the coolest thing to do is rent one of the famous Barbie cars to cruise around to different hiking spots. It isn’t cheap but if split 4 ways it is affordable. And you must visit the rock wallabies, they are tiny wallabies that live in the rocks that are just too cute! Mission Beach is Queensland’s little secret. This small town of only 3000 people is most known for being the best spot to sky dive in Australia. My best advice is to wait until you get here to do it as you’ll fall through the sky over the Great Barrier Reef and it is the only spot in Australia to guratnee a beach landing. If sky diving isn’t for you then you can walk along the beach, it’s perfect to because of its packed sand. Or try a day trip of white water rafting in nearby Tully. There are also hikes throughout the area in the tropical rainforest. However if you don’t have a car exploring Mission Beach is a challenge. Find transport routes from Mission Beach. Cairns is the most popular for one of the top Australia attractions: diving and snorkelling the Great Barrier Reef. There are so many options available from multi day dives to half day snorkelling tours. The city itself is a bit of a party town as it’s the biggest city since Brisbane and people tend to get a little wild. But being back in a city means art galleries are around but luckily it still have a small town feel. You can explore the markets such as the Cairns Night Market and The Esplanade Market. And during the day you can hangout at The Lagoon, a manmade spot by the water with a swimming pool and beach that’s a favourite among locals and tourists. There are also the Botanical Gardens which has a few hikes. But what Cairns has the most of is days trips. When you visit Australia you’ll quickly notice how expensive things are but if you’re smart, plan ahead and know what to look out for you will be able to do all of the pricey acitivites and not miss any of the best sights in Australia. Find transport routes from Cairns. Loved this itinerary? Book it all in one click with my exact recommendations as a package deal.